Crossflow units realise a horizontal flow of filtered air over the entire work surface. As a result, your product and/or process within the flow cabinet is protected from contamination. The working environment of the crossflow units is low on dust particles and micro-organisms. The sterile air flows in a unidirectional (laminar) pattern over the workplace from back to front and releases the air into the existing space. Due to the positive air flow in the cross flow unit, particles released during the process are immediately discharged outwards, the positive airflow also prevents any outside particles from entering. The working environment complies with ISO grade 3, 4 or 5 according to ISO14644 and GMP A, depending on the HEPA or ULPA absolute filters applied. With the HLFU series in four standard sizes, ProCleanroom offers a range of laminar horizontal flow units (LAF cabinets) which are readily available. However, many of our projects are custom- made; here lies our strength. We always come up with an appropriate solution and within every budget. Our in-house engineering department designs a fully customised solution and designs it in Inventor 3D. The possibilities and flexibility are unlimited. See our case studies for a sample of completed projects. Customised solutions, optimised for your setup and process. The HLFU Series Horizontal LAF cabinets from ProCleanroom are particularly suitable for industries requiring product- or process protection. Think of hi-tech, electronics and medical devices, universities and laboratories. In our cross flow units, critical processes such as sampling, cleaning the cleanroom, cleanroom packaging, etc. can be performed perfectly. The ProCleanroom engineers provide a professional installation. After performing a validation according to ISO14644, you will receive a validation report. 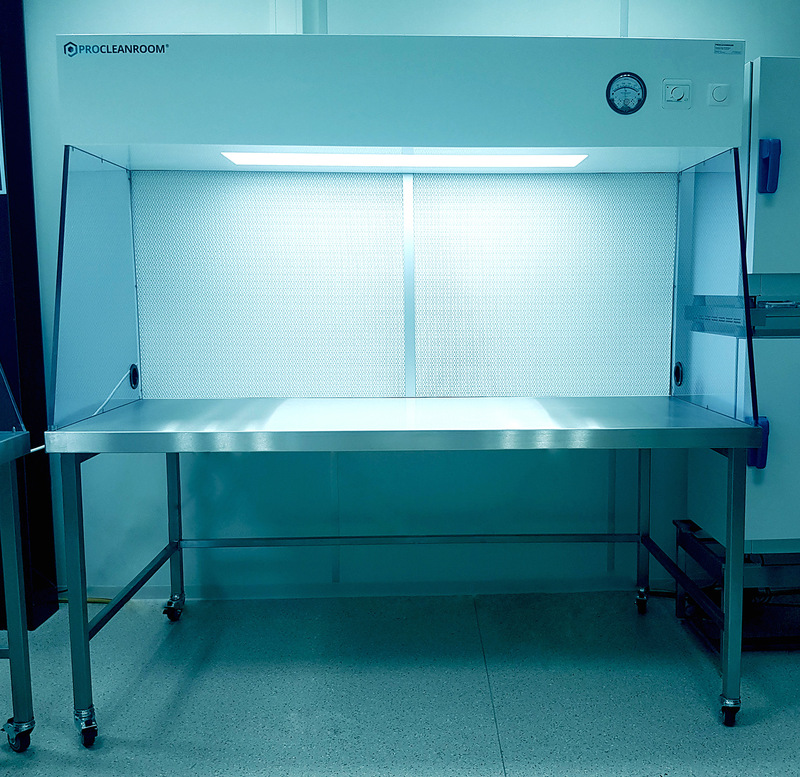 ProCleanroom is also your partner for periodic inspections, maintenance and revalidation of crossflow units. What is the best choice for me? Read more about the different types and find out which fits best with your process.